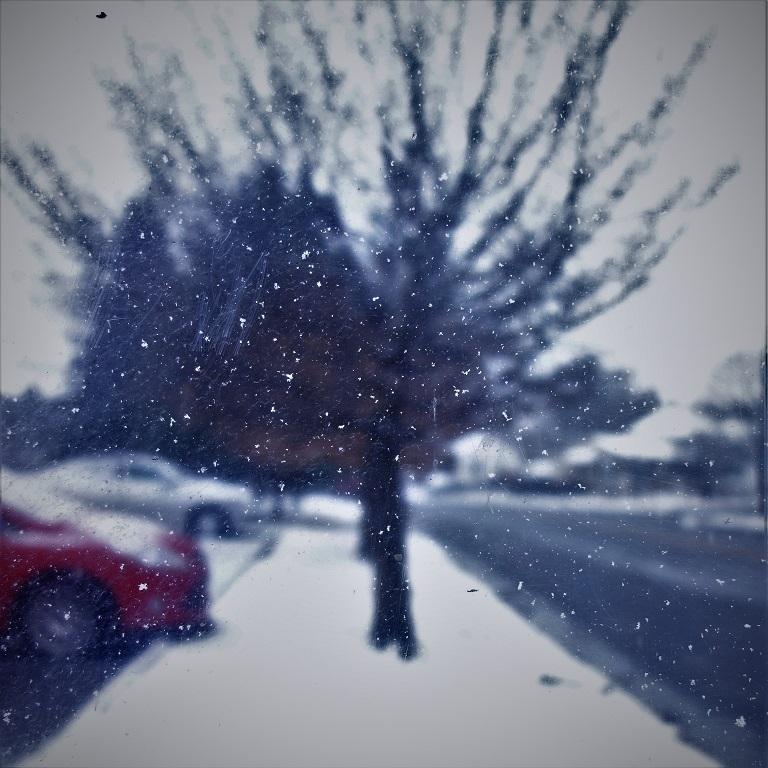 The photo was taken behind the acrylic panels of a bus stop, where snowflakes happily sat. This made it stupid simple to focus on the snowflakes, since they sat there motionless. The imperfections on the panel also helped, emulating snow falling, as well as providing that grainy feel.